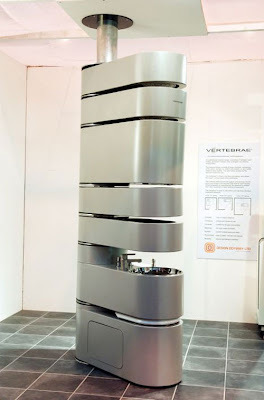 British designer, Paul Hernon, 38, designed the Vertebrae suite (a central pole holding seven rotating modules. 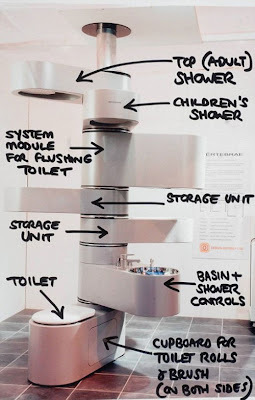 This contraception was created for small spaces. 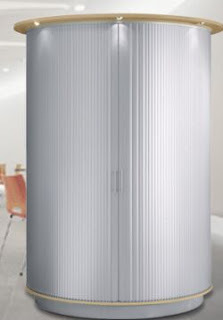 It costs £9,000 ($15,000)= approximately 4,270 KD. Reasonable price for a fully equipped toilet but what about water used from the shower where does it go?!? It will be all over the place! This reminds me, a couple of months ago I got this email of another similar contraception. Its been around for years since 2006 so maybe you've heard about this already. 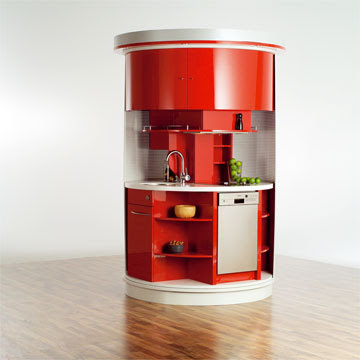 The Clever Circular Kitchen, a 180° revolving functional kitchen design featuring all the characteristics of a traditional kitchen. It's equipped with a refrigerator, dishwasher, ceramic hob, oven/microwave, storage, sink, waste bin, and two or four ceramic cooking hobs. 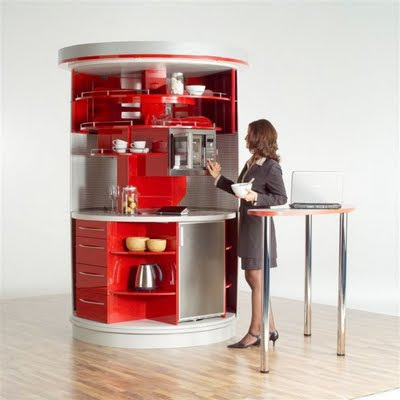 Costs of this kitchen range from $6,500-$15,000 (you do the maths in converting).